Instructional Design, or Instructional Systems Design is the term we use to describe the practice of creating educational systems that make the acquiring of knowledge easier, more effective and more appealing to the learner. We often refer to these systems as eLearning, and eLearning forms a vital part of training and how we learn in this day and age. Instructional design teams have evolved as we have discovered more about the way people learn. We know that there are a few different ways in which people learn now and a successful instructional design team includes a diverse set of people to reflect this. Do I Need An Instructional Design Degree? There are many useful instructional design skills for those wishing to become instructional designers, but the key question everyone always wants to know is: “Do I need an Instructional Design Degree?” In this line of work, a degree is non-essential, as experience can be accumulated along the way, but a degree is often preferred. There are many reasons for this. When it comes to progressing to higher positions in your instructional design career, it is normally expected that you have an instructional design degree or higher-level instructional design qualification. If you do have a degree, it doesn’t necessarily need to be in instructional design. Almost anything goes, and there are instructional designers out there who have mathematics, English, music, fine arts and even geography degrees. Many instructional designers do not have a degree, but a candidate for progression or promotion who has a degree is more likely to get the job than a candidate who has not. One of the most important instructional design skills you can possess in most jobs is communication. If you cannot communicate, you will usually fall at the first hurdle no matter which career you intend to enter. Instructional design requires that you can communicate in a variety of different ways, including verbally and visually. It is important you can share your ideas and thoughts with your team both when speaking to them and in your visual work. Instructional designers are normally taking part in every stage of a project. Some companies do ‘segment’ projects, but in many places it is standard practice for the instructional designers to carry out a job from start to finish. Usually, the way you communicate in your interview can be indicative of your verbal skills to the hiring manager. An instructional designer does need to be creative, and you must be able to demonstrate your creativity. Those with hobbies such as arts and music or people with a background in marketing or other creative industries will automatically have a creative streak and therefore an instant advantage over some other candidates. Successful instructional designers have certain traits about them that set them out from the rest. Those who are most successful have a thirst for learning and have an almost insatiable hunger for knowledge. In many careers, the hungriest learners are out in front of their peers. As mentioned regarding creativity, many instructional designers have creative hobbies, which help them along the way. 1. Produce high quality resumes. Instructional design is a competitive industry and it is important that when applying that candidates consciously aim to set themselves ahead. By producing high quality samples with your CV or resume, the hiring manager will be able to see what you are capable of. However, if you do not have samples, an excellent way of creating some would be to do some voluntary work with a non-profit organisation or charity. Whatever you do, don’t go and download a free trial of software and rush off a poor example; the employer will spot this a mile off and probably reject your application. Instead, why not craft a storyboard? Use this to communicate your message and it will be just as good as genuine samples. Also, if you can convey your message effectively though a storyboard alone, it will make your future employer keen to see more. Sometimes, you will not be able to send samples due to privacy or other reasons, so bear this in mind. When it comes to sending samples, put it online where possible, as sending it in a .zip folder or other format may not open at its destination, and a hiring manager is unlikely to have time to run around chasing you for another version. 2. Be flexible and versatile. With employment and the economy being what it is today, many companies are looking to save where they can, by employing as few people as the can without compromising on quality. So, if you are flexible and versatile and can fill in any gaps within the team then you will sit well with the employer. If you are not a superstar, don’t worry, as quite often your employer will be willing to train you to bring you up to speed. 3. Expound your teamwork skills. From a personal point of view, it is important that you have values that fit within the company and its morals and ethics. This goes for most jobs really, but it just means that you will be on the same page and fit in with the existing team. 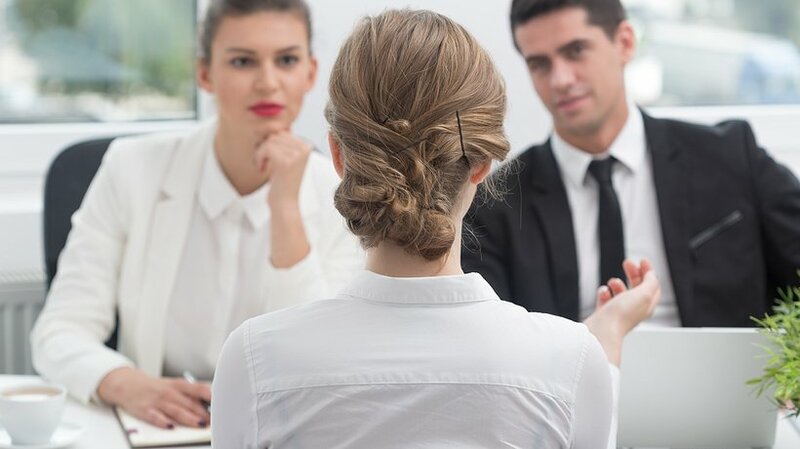 Even better, if you have positive chemistry with the interviewer, and can make the interview more conversational than a question-and-answer format, this can also indicate how well you will get on with the others you will work with. When negotiating salary, it is best to do so at the interview rather than afterwards. For example, statistics published show that women on average tend to earn less in instructional design than their male counterparts for no apparent reason, so get familiar with salary expectations and be prepared to discuss roughly what you are expecting for your role. Instructional design is a very appealing and rewarding career with plenty of progression. If you have most or all of the skills and traits detailed above, it would most likely be a perfect choice for you. Are you currently trying to build your Instructional Design career in the eLearning job market? eLearning Industry gives you the tools to create the ideal resume and find the job that fits you better!